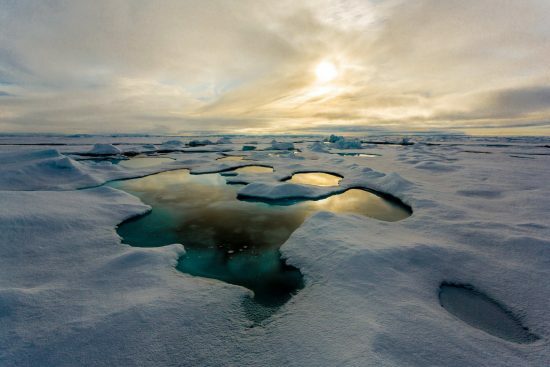 Researchers at the Alfred Wegener Institute, Helmholtz Center for Polar and Marine Research (AWI) have found so much microplastic in the Arctic sea ice as never before. The ice samples from 2014 and 2015 from five different regions of the Arctic Ocean contained more than 12,000 microplastic particles per litre of sea ice. "We found out in our study that more than half of the microplastic particles trapped in the ice were smaller than one-twentieth of a millimetre and thus easily eaten by Arctic microorganisms such as crayfish, but also copepods," says AWI biologist and first author Dr , Ilka Peeken. 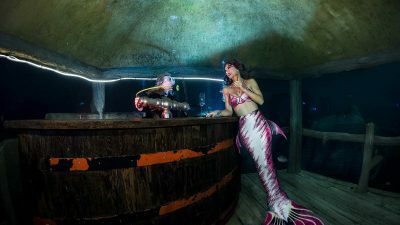 This observation is really worrying, because "so far no one can say to what extent these tiny plastic particles harm the sea dwellers or end up even endangering humans," said the scientist. 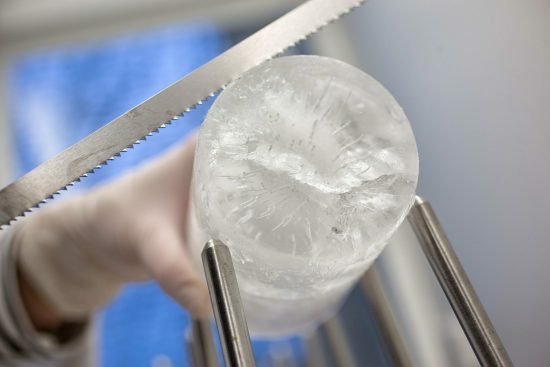 The investigated ice samples had been taken by the AWI team of scientists during three Arctic expeditions of the research icebreaker "Polarstern". They come from five regions along the Transpolardrift and the Fram Strait, where the sea ice from the central Arctic floats in the North Atlantic. 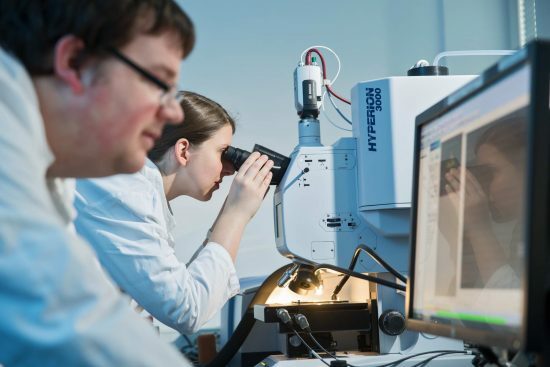 To determine the exact amount and distribution of the microplastics contained in the ice, the AWI researchers first analyzed the ice cores layer by layer using a Fourier Transform Infrared Spectrometer (FTIR). This device illuminates microparticles with infrared light and analyzes the reflected radiation using a special mathematical method. Depending on the ingredients, the particles absorb and reflect different wavelengths so that each substance can be determined by its optical fingerprint. "In this way, we also discovered plastic particles that are tiny 11 microns in size. This is roughly the sixth of the diameter of a human hair and was also the key reason why, with over 12,000 particles per liter of sea ice, we were able to detect two to three times higher plastic concentrations than was the case in a previous study," says Gunnar Gerdts, in whose laboratory the measurements were carried out. Surprisingly, the scientists were able to assign 67 percent of the plastic particles detected in the ice to the smallest size category "50 micrometers and below". The particle density and composition varied significantly from sample to sample. At the same time, the scientists found that the plastic particles were not evenly distributed in the ice. "We have traced the migration of ice floes and can now prove that both the region of origin where the sea ice is formed and the masses of water in which the floes float through the Arctic and continue to grow, have a serious impact on the composition and stratification of the ice floes enclosed plastic particles," says Ilka Peeken. Among other things, the research team found that floes floated in the pacific waters of the Canadian Basin contained a particularly high proportion of polyethylene particles. Polyethylene is mainly used for packaging. "We therefore assume that these fragments are remnants of the so-called Great Pacific garbage patch and have reached the Arctic Ocean with the Pacific influx through the Bering Strait," writes the team of scientists. 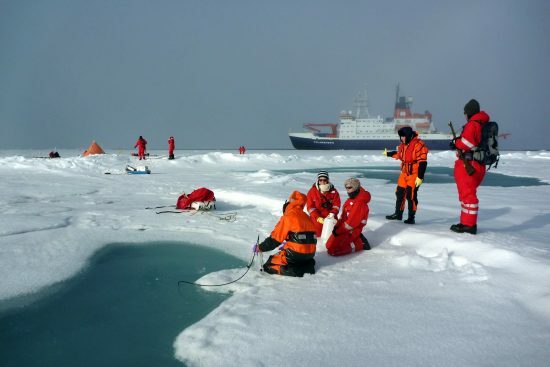 In contrast, the researchers discovered in the ice from the shallow Siberian marginal seas especially paint particles from ship coatings and nylon remnants of fishing nets. "These findings prove that both the increasing shipping traffic and fishing in the Arctic leave a clear mark. The high microplastic concentrations in the sea ice are no longer due only to sources outside the Arctic Ocean. They point to local pollution in the Arctic," says Ilka Peeken. 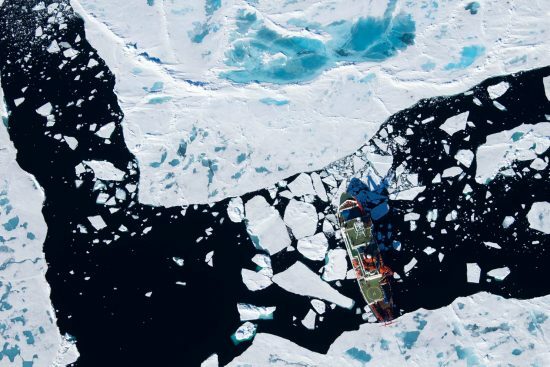 "The sea ice binds the plastic remnants for two to a maximum of eleven years - that's how long it takes for ice floes from the Siberian marginal seas or the North American Arctic to reach Fram Strait and melt there," says Ilka Peeken. Conversely, this also means that the sea ice transport large amounts of microplastic into the marine region off the northeast coast of Greenland. Whether the released plastic particles then remain in the Arctic or be transported further south, the scientists do not know yet. It is even likely that the waste debris will sink relatively quickly. 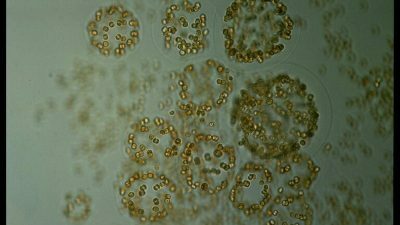 "Free-floating microplastic particles are often colonized by bacteria and algae and, as a result, increasingly difficult. Sometimes they clump together with algae and thus trickle much faster towards the seabed," says AWI biologist and co-author. Melanie Bergmann.